At the end of the nineteenth century the University of California began to earn a reputation for both distinguished senior faculty and up-and-coming researchers and educators. Among these professors were several whose names would later find their way onto Berkeley campus buildings and landmarks. 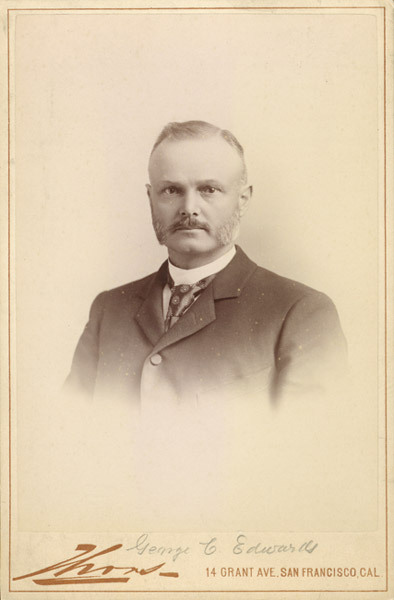 George C. Edwards was one of the "Twelve Apostles," the first UC graduating class in 1873. He joined the University's faculty as a professor of mathematics, and became an avid supporter of the University's athletic teams. Berkeley's track stadium was named in Edwards' honor following his death in 1930.